A Labour government will scrap the flawed disability assessment schemes that keep disabled people out of work and in poverty. 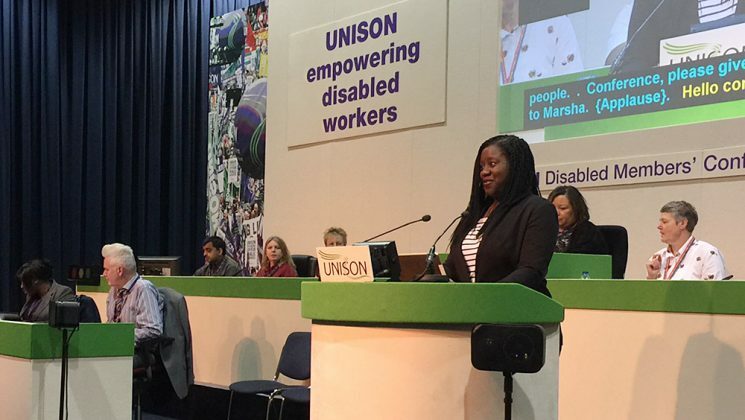 That was the pledge from Marsha de Cordova, elected MP for Battersea in June and now the shadow minister for disabled people, when she addressed UNISON’s disabled members’ conference in Manchester this afternoon. Registered blind with a condition called nystagmus, Ms de Cordova (pictured), observed that like all those in the room living with a disability, she had faced problems “in education, in employment and in politics”. 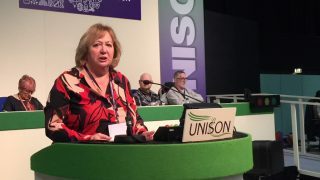 Explaining that it was only down to the fight of her own mother that she had stayed in mainstream education, she said that, if she had been sent to a special school, she would not have achieved what she has so far and that’s why she is so committed to mainstream education for all. 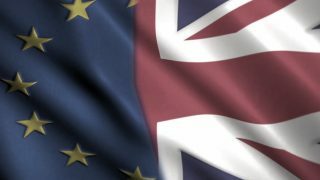 But she stressed the need for schemes to help disabled people take their place in mainstream society had to be funded properly. 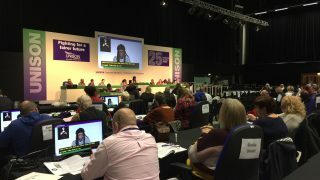 The “Access to Work scheme needs looking at – and proper funding,” Ms de Cordova told delegates, but the government’s austerity policies have disproportionately hit disabled people the hardest. Figures show a massive 900% increase in complaints about personal independent payments assessments, she said, and the DWP must be held to account. In addition to scrapping assessments, a Labour government would also reverse “the £30 cuts to ESA”. 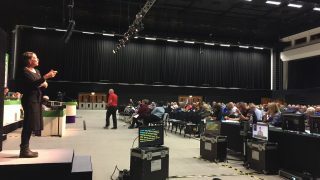 The national conference of UNISON’s disabled members’ service group.